Now that you mention it, yeah, none of Utatane's art is present here. It's 100% Yamashita. I didn't even realize that. I get the feeling a fair bit of his chapter art was omitted too but I'd have to do a direct comparison to be sure. 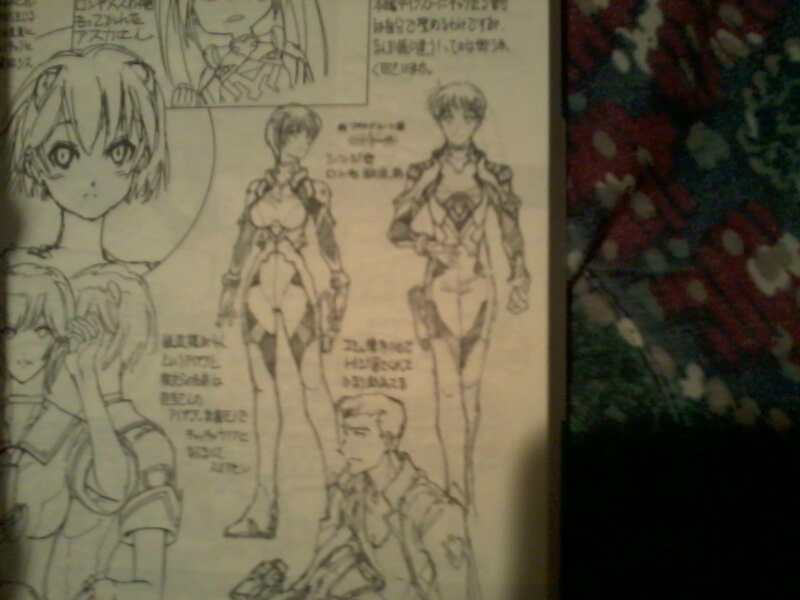 It just hit me: the character art in the back of volume 1 actually shows us what Shinji's new plugsuit looks like! It's just a black and white illustration, but hey, it's something. Comparing to the monthly releases, a lot of the first part seems to have been combined into just 4 chapters for the first book. 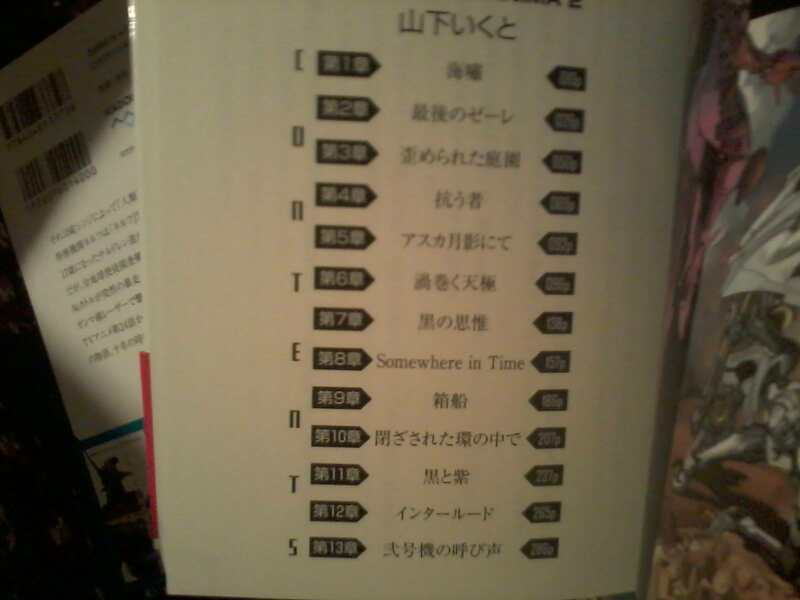 2nd book it seems you get 13 monthly chapters rearranged into 11 in the book with chapters titles actually matching most of the time. Overall it appears to cover up to 2010 October monthly, so 34 out of 64 so just about half because there was a transition to a larger format for the magazine with later issues having bigger pages with more stuff. We're looking at two more books minimum then. Saving Shinji's plugsuit for the compilations is kinda hilarious. Ah, so I wasn't the only one wondering what happened to Hiroyuki Utatane's drawings. Anyway, I'm glad that all the chapters of ANIMA are finally getting collected in book format, although I was also disappointed that not all of the illustrations were printed in full color. I wrote a review of Evangelion ANIMA 1 that includes a few scans, in case anyone is interested. I made this new post for it on my book review thread. I have Evangelion ANIMA 2 as well, but I haven't had a chance to write a review for it yet. DHL man brought me my books, and they're very lovely. I really wish Yamashita's handwriting was more legible. The notes on the rough sketch of illustration under the dust jacket would be nice if I could decipher them. But then again my Japanese is still incredibly weak. I'm really curious about how much of reediting was done of the first part. When it was published in the magazine it had all these subtitles and jumped back and forth between scenes. That was first reedited when it was published in the Anima Visual Book. That now makes up the first half of the first book. The 2nd half I just can't seem to match up to any of the monthly chapters with my weak skills. The 2nd book on the other hand matches up quite closely. I guess the delay with publication might have been reediting and potentially rewriting that early stuff to match the style of the later work? There is a way to find the original scans of Evangelion Anima of the Dengeki Hobby Magazine? I tried to find it on the forums, reddit and other pages and I didn´t find anything. I've just ordered the two books from Amazon.co.jp, but these two only covers the first half of the story, isn't it? are the scans available elsewhere, or a translation?. Thanks for the info!! So... someone is actually reading this books or what? can someone give us a summary of the story? Okay I got my Anima book 1-2 in the mail a couple of days ago unlike the other art books these are small there very much reading book novel size. I loved the comic pages in issue 1 and I hope to see more in the later issues. The only downside of these books is the images are not all in colour so for anyone wanting to see the units and some of the portraits character in colour might be better off purchasing the Anima visual book as well as these, as it has a lot of large colour images. Say, I've been meaning to ask... What happened to the translation effort for ANIMA here? 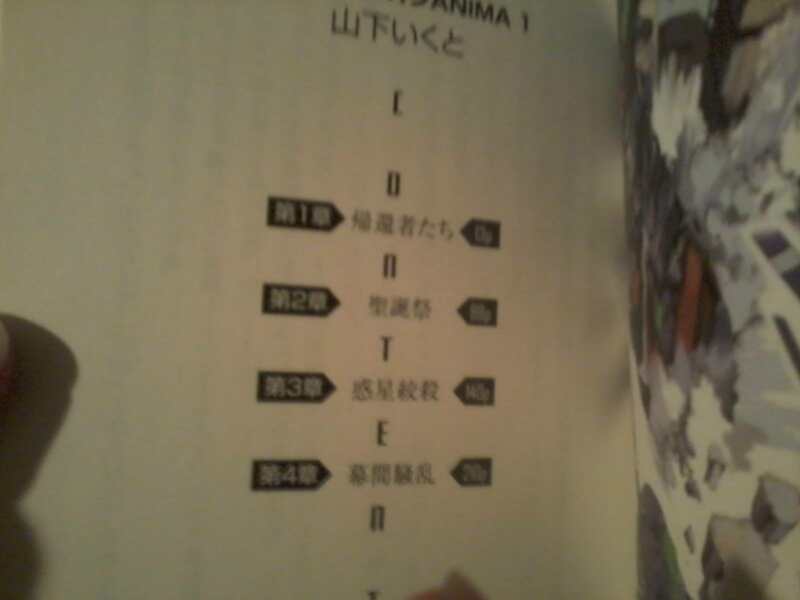 MarqFJA87 wrote: Say, I've been meaning to ask... What happened to the translation effort for ANIMA here? There was never an actual translation effort on this forum. There was a guy on reddit who wanted to translated it, but he decided to ask Yamashita for permission on twitter and that went exactly as expected. TMBounty_Hunter wrote: There was never an actual translation effort on this forum. I was actually referring to the work done by Symbv, such as here. That wasn't an actual translation effort though. Just a few random bits and pieces of Japanese wiki entry, not of ANIMA text itself. ... Google Translate works on images?! MarqFJA87 wrote: ... Google Translate works on images?! If you use the Google Translate app on your phone it does. 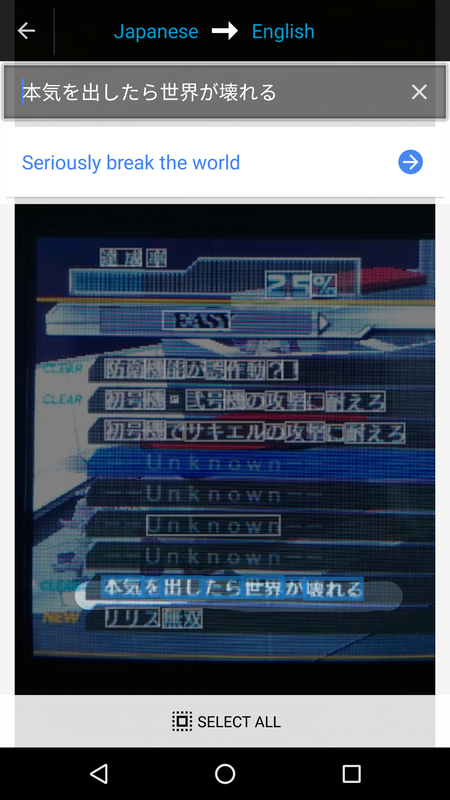 Please for the love of god don't use machine translations. They're still absolute garbage for Japanese and will only lead to more misinformation. TMBounty_Hunter wrote: Please for the love of god don't use machine translations. They're still absolute garbage for Japanese and will only lead to more misinformation. They have gotten better, if someone wishes to translate them properly to compare that is. These are all from the PSP version of Battle Orchestra, and the translations really helped me get the point of the missions. Though I will admit the picture translation is better than using the live video translation, becuase if your hand moves, the translation gets thrown off. Translating short bullet point goals (and still rather poorly) is completely different from translating narrative prose. I still advise against trying it. Nothing good will come of it. Yeah, I agree with TMBounty_Hunter. On a slightly different note, is there anything about ANIMA that you guys know but isn't mentioned in the wiki? Like, what happened to the Eva-fied Asuka (whom I prefer to call either "Asuka-Eva" or "Eva!Asuka" rather than "the Asuka-Eva Synthesis") after she apparently defected to the enemy? Has ANIMA even reached a proper conclusion, or was it cancelled prematurely? Oh, and speaking of the enemy in ANIMA... The name is spelled "Torwart", not "Taubert", right? Because the latter is used several times in the wiki. ... And how come I have to click twice on the "post reply" button and the page buttons if I reached the page by clicking the link within a "new post" notification message? A single click just keeps me on the same page after a few seconds.